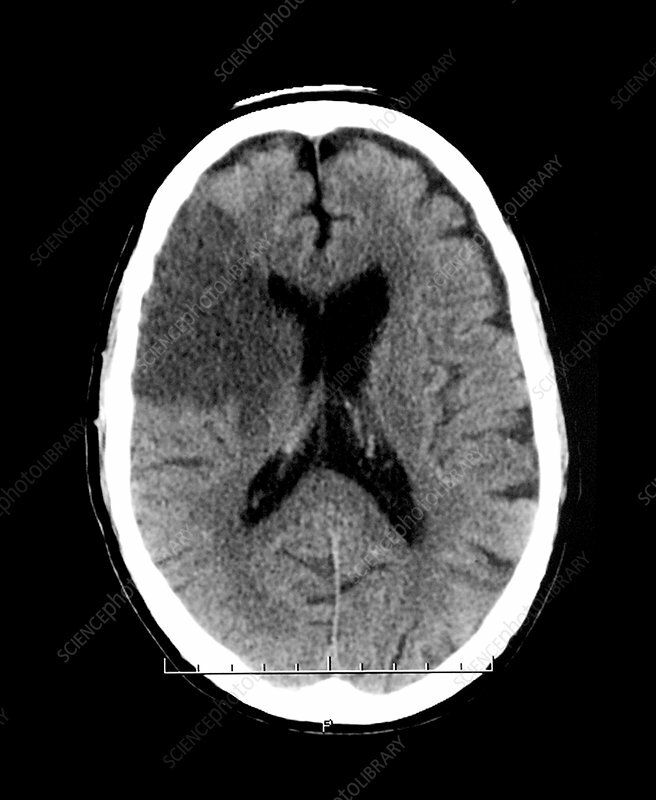 This axial (cross sectional) non-enhanced CT of the head shows a classic appearance of an acute middle cerebral artery infarction (stroke). This patient showed a hyperdense MCA sign. This sign is indicative of thrombo-embolic occusion of the MCA.